This is a first generation Safari cat called Marechal Xeva. She is the first of the Marechal Cattery’s F1 Safari females. 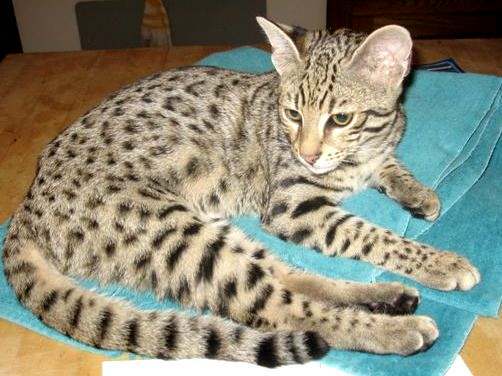 She looks like the Geoffroy’s Cat, which in my opnion is exactly what the Cattery set out to achieve. This entry was posted in Safari Cat and tagged safari cat by Michael Broad. Bookmark the permalink.